After two edge-of-your-seat races to kick off the year, MotorLand Aragon is ready to host the third race of the FIM Supersport World Championship – and if recent history is anything to go by, the Motocard Aragon Round could play a decisive role in the fate of this year’s championship race. The last four winners of the Spanish race have gone on to clinch the title later in the season – and in unfavourable news for the co-championship leaders, none of them entered Aragon at the top of the standings. Two men have been the outstanding stars of the early stages of the World Supersport season. Randy Krummenacher (BARDAHL Evan Bros. WorldSSP Team) proved to be utterly dominant in the first round at Phillip Island, following that up with a conquering comeback to second position at Buriram. But Krummenacher has always finished the second round at the top of the standings – can he keep up the pace at the third time of asking, after eventually falling back in both 2016 and 2018? Jules Cluzel (GMT94 Yamaha) meanwhile has enjoyed his best start to a WorldSSP season, sitting on 45 points alongside Krummenacher. The Frenchman was unshakeable in Thailand, fending off countless attacks from the riders preceding him, and seems determined to take the crown this year after last year’s dramatic finale. But MotorLand Aragon is a bit of a bogey circuit for the Frenchman, with three DNFs and a solitary podium in six races. Could Cluzel’s luck change for the better in 2019? The men following them in the standings will be hopeful of extending the WorldSSP Spanish streak, starting with the man sat third in the standings. After two consecutive third-place finishes, Federico Caricasulo (BARDAHL Evan Bros. WorldSSP Team) finds himself 13 points adrift, nonetheless also consolidating his best start to a WorldSSP season. The young Italian finished runner-up in Spain in 2018 and is the only rider to have led in both races this year. Caricasulo will certainly be in contention in every session. The home fans will also have two strong contenders to rally on. 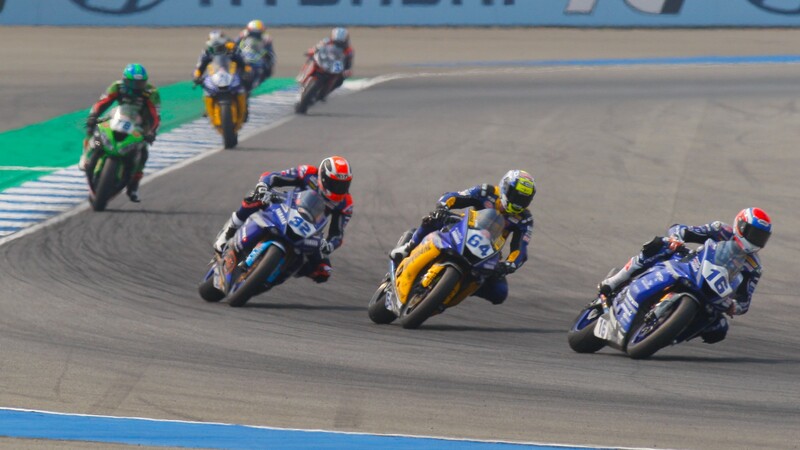 Héctor Barberà (Team Toth by Willirace) and Isaac Viñales (Kallio Racing) have both finished a race in fourth position in 2019 and are guaranteed to fight for the rostrum positions at a track which both men know to perfection, albeit not on World Supersport machinery. The switch over to Kawasaki machinery may not have worked out yet for 2017 world champion Lucas Mahias (Kawasaki Puccetti Racing), but the Frenchman will remain spirited and combative, seeking inspiration from his 2017 Aragonese win. Teammate Hikari Okubo (Kawasaki Puccetti Racing) meanwhile will also continue pushing the limits of his ZX-6R, after two strong performances in Australia and Thailand. Raffaele De Rosa (MV Agusta Reparto Corse) is seeking his first podium at the Spanish track, coming off a strong top-five performance in Thailand, while both CIA Landlord Insurance Honda representatives push to close the gap with their rival machinery. The FIM European Supersport Cup riders will also make their first appearance on the calendar, with a former race winner in Kyle Smith (Team Pedercini Racing) joined by two French newcomers: Xavier Navand (DK MOTORSPORT) and Gaetan Matern (Flembbo Leader Team). The third round of the World Supersport season gets underway on Friday 5th with free practice, followed by the Superpole on Saturday. On Sunday 7th it’s race time, with lights out at 12:15LT (GMT+2). Follow all the action with WorldSBK VideoPass!